One of my absolute favorite shops is Oakleaf and Acorn in Braselton, Georgia and one of my favorite shop owners is its proprietor, John Rich. I posted about his incredible shop a few months back and decided to have John share his Top 6 Men's Gifts for this holiday season. 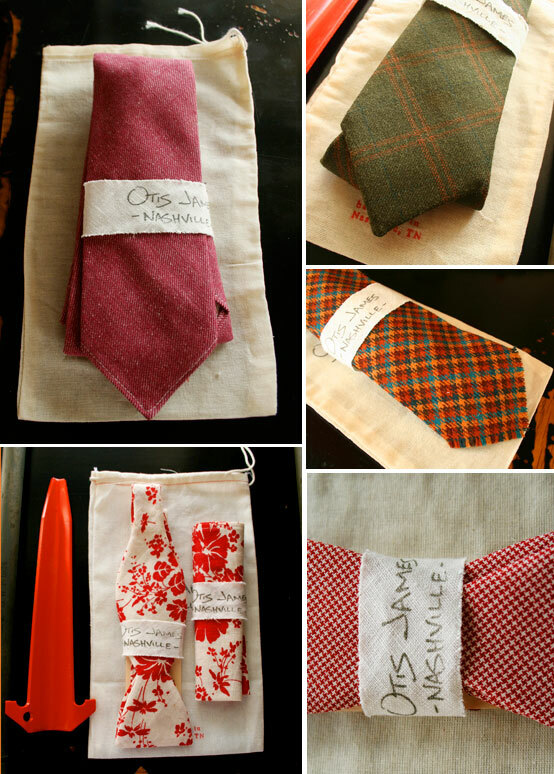 The first recommendation by John are these gorgeous handcrafted ties by Nashville resident, Otis James. I adore these ties which Otis makes in his backyard workshop and as John says, "He gives such attention to detail, from the old buttons he uses to his fabric selections." I especially like how Otis will inscribe the name of the tie owner on the underside of the tie- or any message you like. Learn more of his process by clicking on the video on his site here. And if you like bowties, you will love Otis' really fun yet classic prints. 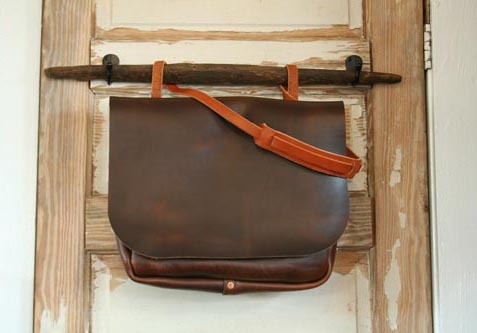 In fact, Otis just won the fashion category for this year's Garden & Gun's Made in the South Awards. Congrats Otis! John's #2 pick is Moonshine, a gentleman's cologne, ingeniously created by three UGA grads who saw a niche in the market that they could fill. They wanted something distinctly southern, independent and which didn't need a picture of a naked model or a celebrity to sell...something they would wear. As their site explains, Moonshine cologne ($72) has a "woodsy aroma with hints of spice- including notes of black pepper, tobacco, leather, gin and patchouli." Sounds manly and good.... and how can you not love the packaging? John's store is a men's store and nothing says manly more than a knife. I can't think of a guy that wouldn't appreciate this gift. Gorgeously handcrafted by Marvin D. Poole in Commerce, Georgia, each knife has a weight and beauty all its own. As John says, "They're just made to fit in your hand, they just feel good." 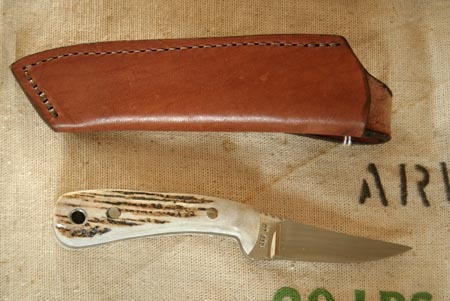 Marvin has been making knives for over thirty years (totaling more than 6,000 pieces) and as John explains, "He uses only the finest antique ivory, stag antler, camel bone and exotic stabalized woods to craft his handles. The blades are made from 440c stainless steel heat treated to a 55-57 RockC." 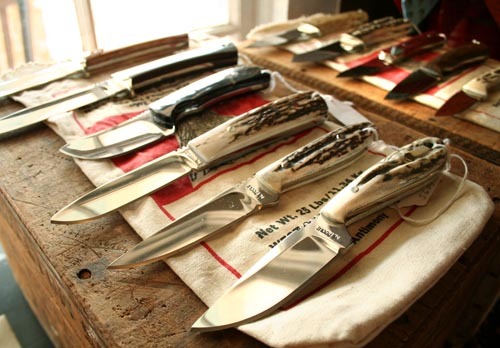 I'm not sure what that all means but I bet a manly man would know... You can purchase a knife to last a lifetime ($125) through John's store- either in person or online. I love the idea of a good comb for a man. I mean, I have a good brush, so why shouldn't a man value and have a good comb? I just bought one of these for my dad as he's always using one plastic comb or another and I bet he'll put this one to good use. These come via Baxter of California. John's #6 pick is this really smart and wonderful collection of soaps called, A Year in the Country by Beekman 1802. Each bar, made with pure goat's milk, was inspired by the scents and comforts of each season. Creators Brent and Josh got the idea from the time spent on their NY farm, which is plentiful with gardens and animals. They explain the process on their site: It took us an entire year, but we've documented what was in bloom or in use on the farm during each of the 12 months and custom-blended pure essential oils to recreate each one. Total cost is $64. October has a hint of tart apples...March salutes clay and fresh grass as September showcases fresh basil and pepperty tomato leaves...while November celebrates smoky fires and fresh baking spices. Too fun, right? A big THANK YOU to the master curator and shop owner, John Rich for his perfect holiday selections. These well made, high quality goods would make any man a happy man- and may I add a more stylish man. Find all of these selections, and many more gift ideas at Oakleaf and Acorn ... Happy shopping!